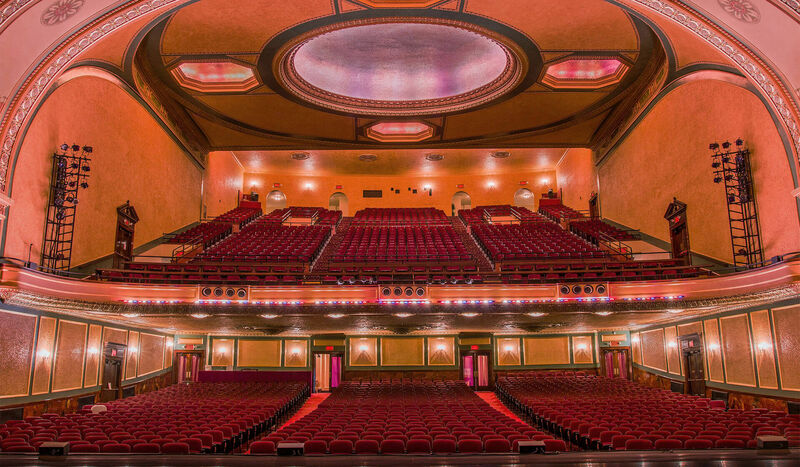 Since opening in 1926, the Temple Theatre has hosted legendary performers from around the world. Even decades later, people that grew up with the Theatre still attend regularly. But younger audiences look for entertainment in different ways than their parents. 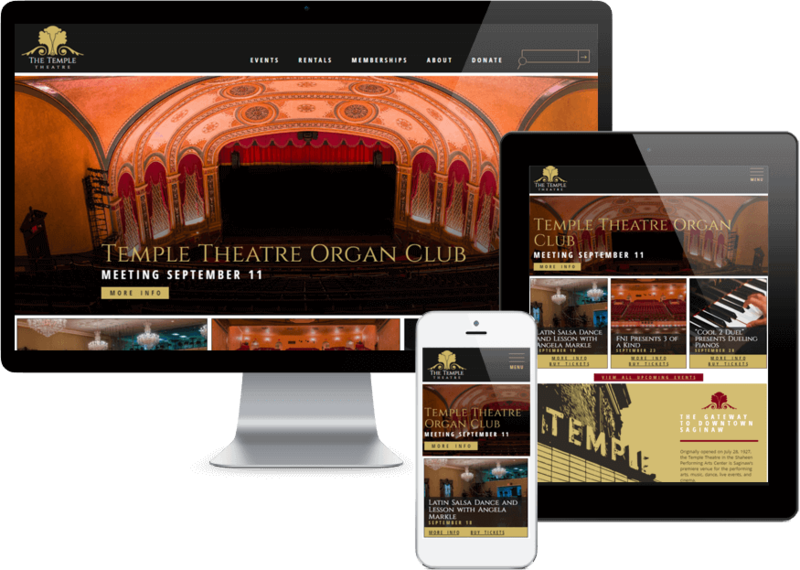 The goal of the new TempleTheatre.com was to meld the Temple’s historic legacy with modern design to support their efforts to introduce a new generation to Saginaw’s most iconic venue. When you’re working with a beautiful, iconic structure, life is easy. 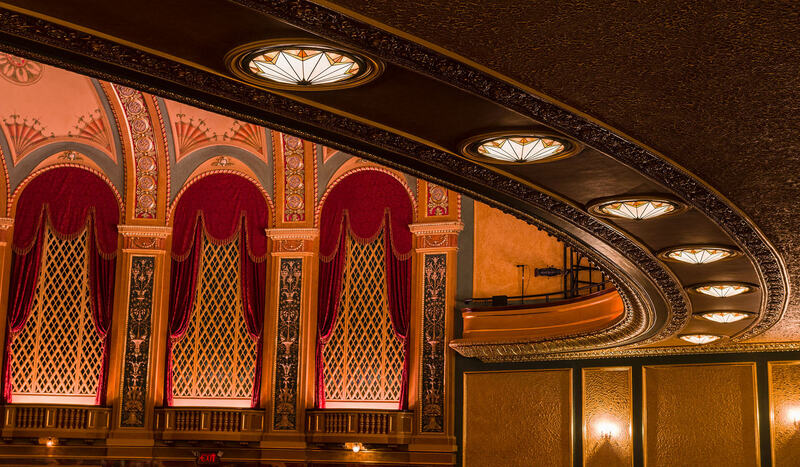 We let the natural beauty of the Temple Theatre shine through. To capture as much detail as possible, we used high dynamic range (HDR) photography, in which multiple exposures of the same photo are combined. 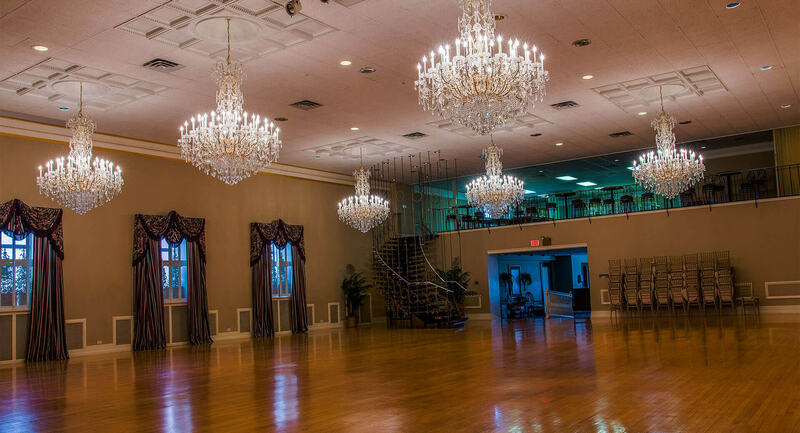 This let us capture detail both in the bright lights and dark seating area at the same time. To build off its well-known visual identity, the glyphs and typeface from the logo were used throughout the site. These were combined with Open Sans Condensed, a simple font with more modern connotations. The most common users are those who heard about an event, then went to the site to purchase tickets. Those people will appreciate that the 4 nearest events are featured on the home page. There’s also a prominent search bar in the top menu. Other users want to browse upcoming events. We implemented an infinite scroll solution that allows them to easily scan all scheduled events in one place. Because images aren’t loaded until the user scrolls to them, we are able to list a ton of events without unnecessary server load. Infinite scroll was selected instead of a more standard paginated approach because words like “Next Page” or “More Events” are too vague. Users would have to click them to find out what’s on those pages. As a rule, people don’t click links unless they know what will be on the next page. But the Temple is more than just live events. 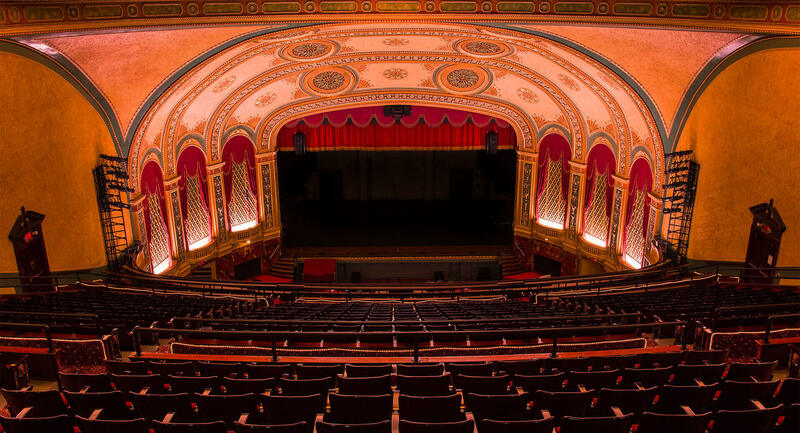 Some users may want to book a rental, learn about the theater’s history, or donate. These are easy to access from the main navigation. Their previous site had grown so complex that the Temple Theatre had to outsource simple content updates. We simplified things with a custom WordPress admin interface. Creating new pages is wildly easy; they simply follow the instructions and type exactly what is needed in each field, then publish the page. Events are automatically sorted by date, then hidden after the event occurs. It’s easy to add new content and nearly impossible to break anything. The site requires a new image for each event. To ensure visual consistency and site performance, all images are automatically compressed and re-sized after being uploaded. All the user needs to do is upload a high quality image; the content management system takes care of the rest. This website will last quite a while. It employs responsive design so it will adapt to any new browsers or devices that enter the market. Flexible templates can accommodate any type of page they might need and its timeless design isn’t rooted in short-lived trends. But most importantly, the website was built from the ground up with their unique needs in mind. Here’s to another 90 years.